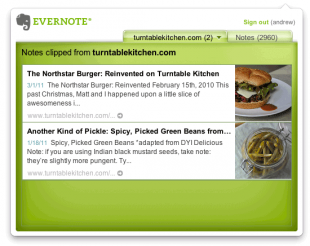 Evernote and other note-taking apps that sync information among all of your devices, making it easy to track your to-do list, add photos, clip webpages and share information with your colleagues. Wunderlist is another task management app with even more beautiful design and user interaction than Evernote. Instagram and Path. Photo-sharing networks’ apps make it easy to share visual among colleagues quickly, using a different social graph than Facebook or Twitter. Socialcam is a new video-sharing social network that applies the same principles to videos. Twitter, Yammer and Facebook. Whether you’re using a mainstream social network like Twitter or an enterprise social network like Yammer, these apps offer excellent opportunities for colleagues to connect on the go, seek information and share their experiences. Posterous and other blogging apps make it possible to publish information to a blog directly from a mobile device, making information and experience sharing possible in unexpected places. YouTube. Perhaps the best resource around for augmenting your own reality by searching for, finding and viewing instructional information in the context where you need it. SCVNGR. Stevie Rocco led a great ASTD presentation a few weeks ago where she suggested the use of SCVNGR for creating educational AR scavenger hunts. Stevie has made a “trek” for her students where they access location-based game components like answering open ended questions, finding a QR code or taking a picture. These apps help people connect to their environments and build engagement. GroupMe is a group collaboration and communication app, which can be used through SMS or the app itself. Create a variety of groups to create a mobile chat room between colleagues or team members. I’ve used this to coordinate between coworkers when on the road or to coordinate among my family and friends. Google. The Google app offers both visual and verbal search. Say what you’re looking for or take a picture of something and search either the text within it or the image itself. Magic! Dragon Dictation. Take notes and dictate on the spur of the moment, or possible even while walking. I’ve tested this app, and it’s surprisingly accurate. Hashable is incredibly useful for replacing business cards. Using Twitter or your email address, Hashable enables users to post and share who you meet and also make introductions. Last, but not least, for those days on which only a burrito will do: Chipotle.